Danny of Hollywood Undead performs during the 2015 Rock On The Range festival May 17 at Mapfre Stadium. Credit: Judy Won / Lantern Photographer. 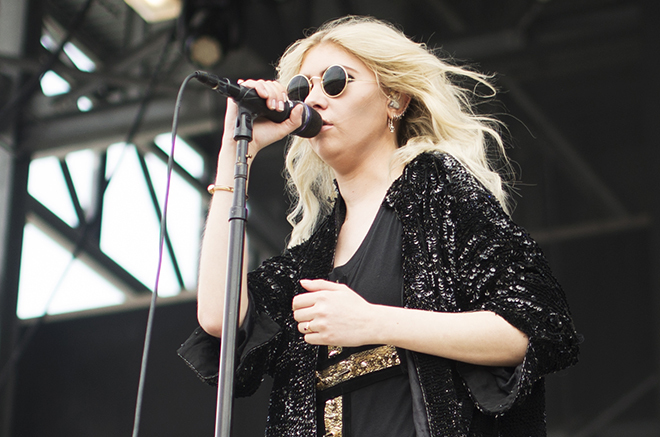 Taylor Momsen of The Pretty Reckless performs during the 2015 Rock On The Range festival May 17 at Mapfre Stadium. Credit: Judy Won / Lantern Photographer. 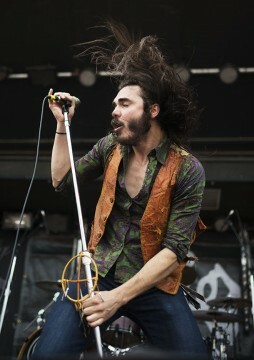 Brandon Yeagley of Crobot performs during the 2015 Rock On The Range festival May 17 at Mapfre Stadium. Credit: Judy Won / Lantern Photographer. Scott Ian of Anthrax catches some air during the 2015 Rock On The Range festival May 17 at Mapfre Stadium. Credit: Judy Won / Lantern Photographer. Arejay Hale of Halestorm performs during the 2015 Rock On The Range festival May 17 at Mapfre Stadium. Credit: Judy Won / Lantern Photographer. 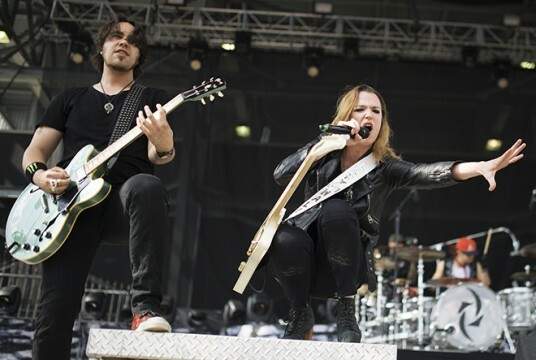 Joe Hottinger and Lzzy Hale of Halestorm performs during the 2015 Rock On The Range festival May 17 at Mapfre Stadium. Credit: Judy Won / Lantern Photographer. 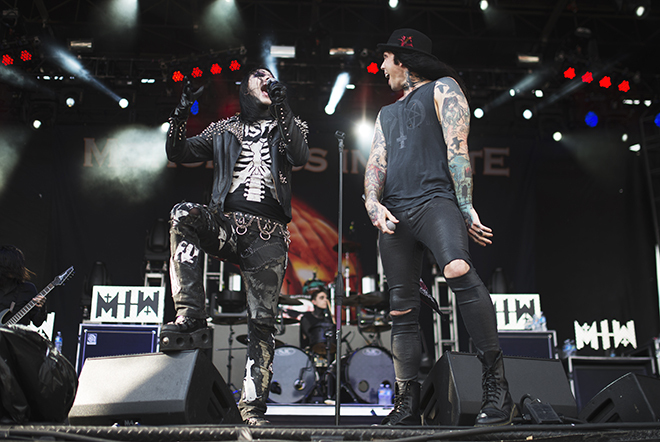 Chris Motionless of Motionless In White with special guest Michael Vampire performs during the 2015 Rock On The Range festival May 17 at Mapfre Stadium. Credit: Judy Won / Lantern Photographer. Michael Poulsen of Volbeat performs during the 2015 Rock On The Range festival May 17 at Mapfre Stadium. Credit: Judy Won / Lantern Photographer. 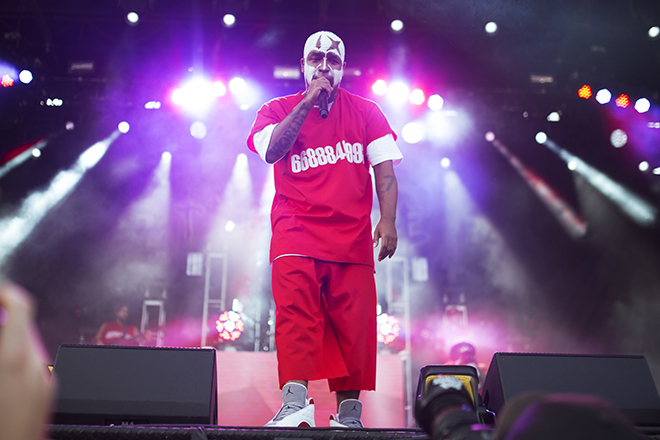 Tech N9ne performs during the 2015 Rock On The Range festival May 17 at Mapfre Stadium. Credit: Judy Won / Lantern Photographer. 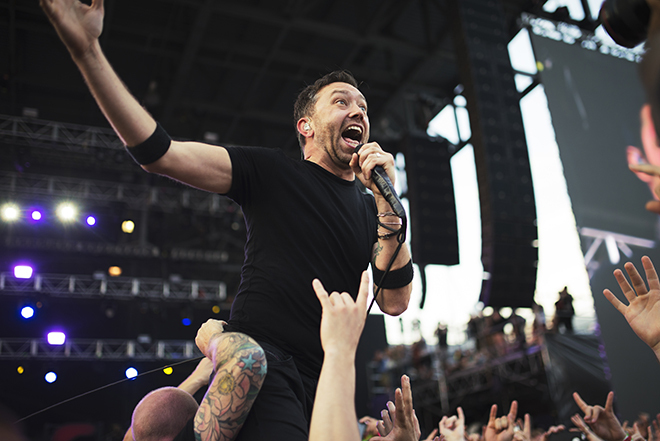 Tim McIlrath of Rise Against performs during the 2015 Rock On The Range festival May 17 at Mapfre Stadium. Credit: Judy Won / Lantern Photographer. 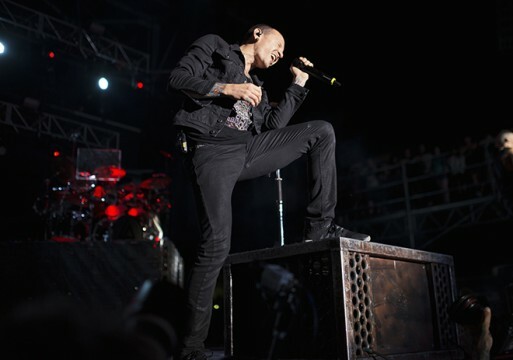 Chester Bennington of Linkin Park performs during the 2015 Rock On The Range festival May 17 at Mapfre Stadium. Credit: Judy Won / Lantern Photographer. The third and final day of the 2015 Rock on the Range hard rock music festival began as a day of oppressive summer heat and music that was brought to boiling point. It was hot enough in the early afternoon that just standing around made you sweat. The biggest early act was Columbus band Starset, a heavy playing band with a spacey feel in their imagery and music. The drummer, bassist and guitarist were dressed like heavy metal spacemen with helmets that had blue faceplates and intricate black outfits with lights in them that flickered to the music. Their music was like a steamroller — powerful, heavy and smooth. 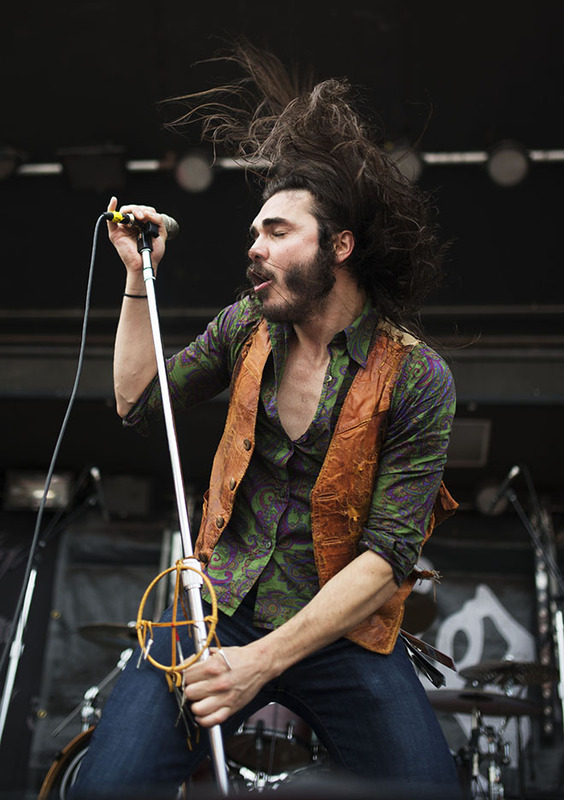 From a different perch in the hard rock family tree soared the band Crobot. They were big, bad, funky and — out of all the bands that played during the festival — gave the strongest feeling of classic rock. Yeagley brought out a harmonica for the opening of one of the songs, and when he played it into the microphone, it joined the band as a raging electric instrument. At one point he jumped on the guitar player’s shoulders and stayed there for part of a solo. “Since we’re family and all this is like our Christmas,” Yeagley said. 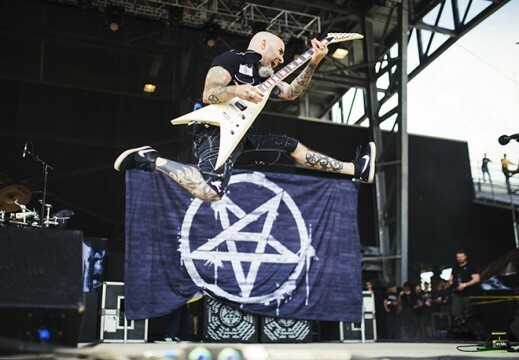 The wild live performances continued with Anthrax. After seeing and hearing them play, one can say that every rock ‘n’ roll festival needs a thrash metal band like Anthrax. “Everybody get the f— up,” said singer Joey Belladonna. People did more than get up. Someone dressed as a clown with a mask moved quickly through the audience and didn’t miss a beat when a mosh pit started. A girl in a wheelchair moved into the pit with a friend pushing behind her. The band played a song in tribute to the deceased metal musicians Ronnie James Dio and Darrell “Dimebag Darrell” Abbott, and I hopped into the mosh pit. People were ramming against each other with the reckless energy of a day of rock that was only starting. There were a lot of shoulders hitting shoulders and a lot of people crashing into the surrounding audience members. I was in for a minute or so before someone’s spilled drink swerved my foot out of control and on Monday morning the scraped knee under my khakis is a good, cheap souvenir from the festival. In a crowd like that, falling down is safe because there were always three or more people to pick you up at once. Heavy metal is good vibes. The girl in the wheelchair went crowd surfing, balancing above everyone’s heads on her chair that was temporarily a throne. The mosh pit I had been in merged with another pit next to it like a huge and writhing musical amoeba. Another mesmerizing live performance came from Volbeat, a Danish metal band that draws heavy inspiration from early rock musicians such as Elvis and Johnny Cash. Their stage backdrop was an image of a winged skull with a pompadour hairdo, and they played catchy songs with fat riffs. I didn’t know that “Lola Montez” was their song until they played it that day, but even if it had not been their song, they made it one of the greatest performances of the festival. They also made sure to pay tribute to rock’s most recently departed legend. 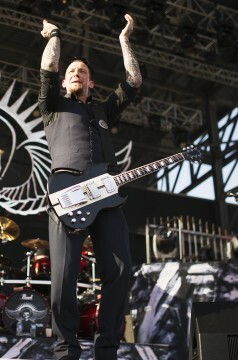 “Raise your hands for BB King, bring the f—ing noise for Mr. King,” said singer and guitar player Michael Poulsen. 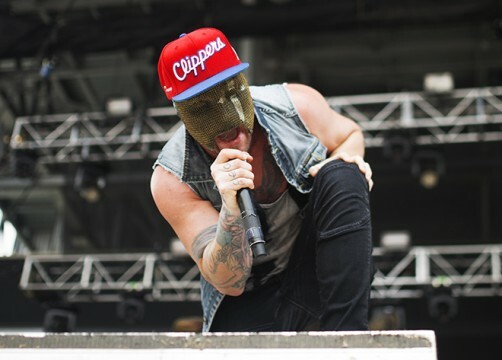 Now, if one thinks that rap musicians don’t belong at a rock festival, one can have a good argument for this. 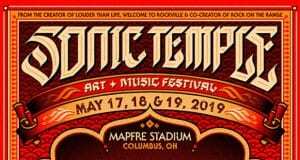 Many might think that including a rapper in Rock on the Range puts it at risk of losing its identity and turning from a rock festival to just another broad music festival. But rapper Aaron Yates, better known by his stage name of Techn9ne, played his heart out at Rock on the Range and if next year he is the only major rap act at the festival, there will be nothing lost. He has an incredibly fast, percussive style of singing and it was a jaw dropping sight of how fast a human tongue could actually move. At one point during his performance, a woman came onto the stage who wouldn’t stop dancing on him, so he upped the ante and made a mock sexual pose with her lying on the ground beneath him. The crowd roared with laughter, but at fifteen minutes before Rise Against was set to start, there was a stream of people moving into the main arena to see them. Rise Against cut right through to the audience, playing with an upbeat punk rock intensity. In their live performance, there was more distortion in the guitars, and the result was a sound that moved more toward metal. Name one genre or another, songs like “Re-Education Through Labor,” and “Ready To Fall” drove the audience into sheer madness. People did not stop jumping and bumping to the music, so it seemed like a good time to go crowd surfing and the notes that became this article were put in my drawstring bag. It was an incredible feeling, the unpredictability of when someone may or may not support you up with a hand, and the sudden drops and sidelong movements that just happen. Crowd surfing is like being on an unplanned human roller coaster, like living life as a drunken centipede who never knows when one of forty or so limbs will be able to keep up the winding, twisting body. Sometimes a person below pushed a bit too hard and I fell toward my side, only to get pushed back onto my back and well along the way. The last band of the festival was Linkin Park, and they left no room for an epilogue. 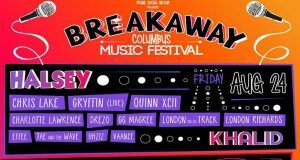 The way they combine sounds of hard rock, bubblegum pop rock, rap and other genres makes their quality of music hard to attribute to anything other than being great musicians who never run out of creativity — and it showed in their live performance. 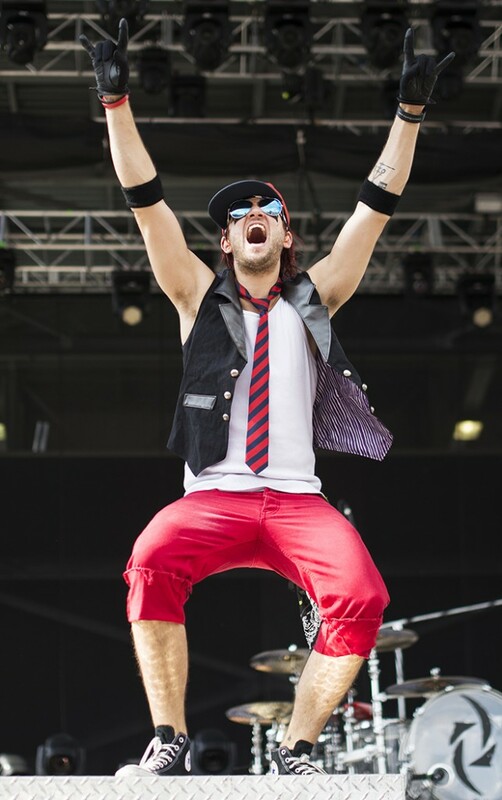 They kept the audience screaming for well over an hour, and the audience knew they were a great last act. But they still played like the audience needed a reminder. 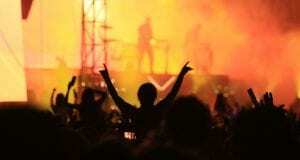 The wind was picking up a bit as the dark of night crept in, and singer Chester Bennington said that this was one of the rowdiest crowds he had ever seen. “Until next time, good night,” said Bennington. How about same time and place next year?